Kayaking will not save your soul or bring world peace, but it will move you from youth through the middling years and onward to wisdom. We’re talking about kayak touring, not the rough and tumble white water sport that gets all the headlines and warnings. Flat water or sea kayaks are long, stable craft, built to cut through swells and withstand wind. There are other sports suitable for the aging weekend athlete who wants to preserve physical dignity and prowess, but kayaking can’t be beat for visual rewards. The views are better from a long stable kayak where you sit on a comfortable seat, legs outstretched below deck and feet braced on pegs that connect to the kayak’s rudder. (Not all flat water kayaks have rudders.) During the summer, I usually paddle without the spray skirt, but it’s necessary when Bay chop is sweeping the boat deck or afternoon thundershowers catch you still out. No one can bail or pump accumulating water when you also clutch a double blade paddle. A lifejacket, cockpit skirt cover, bailing pump, whistle and light are essential equipment. On flat water, found in the numerous inlets, rivers and tributaries of the Eastern Shore of Maryland or Southern Maryland, the land between the Potomac River and the Bay, the paddling effort is slight. You can drift with the river current. “Their Manner of Fishynge in Virginia.” Theodor de Bry’s engraving of American Indians fishing, published in Thomas Hariot’s 1588 book A Briefe and True Report of the New Found Land of Virginia. can inform modern caretakers of our waterways. rises from a burned out tree, wing span long nearly as long as the kayak. A turtle claps into the water, a beaver dives beneath the water. Overhead Canada geese fly formation and there, out of the corner of my eye, a carp burns its yellow belly in the sun drenched surface of the river. If it is evening, and a more secluded watershed, perhaps a deer will be nibbling on tree leaves, ghosting the end of the day, marking it in my memory for all time. During the 1930s, Pres. 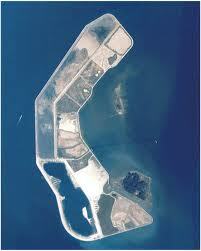 Roosevelt, (Franklin D.) visited the hunter’s clubhouse on the four-mile spit of land as a nearby weekend retreat. The name honors the poplar trees on the island. The island has been undergoing restoration for years. Dredged material has restored the island nearly to the perimeters of 1847. 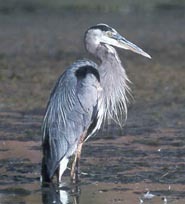 South Marsh Island in Tangier Sound is under the Maryland Department of Natural Resources Wildlife & Heritage Service. Smith Island, Maryland is famous for its cake. That’s right, Smith Island Cake is like none other. The locals serve a mean crab cake too. Board the ferry at Crisfield, Md. Tilghman Island, Maryland offers the easy going Bay lifestyle with rental apartments for weekenders from Edge City urban areas. Tangier Sound – If you’re out kayaking on this water, seek local information about currents and tides. Bear in mind there are rip currents both ways and possibly, motor boats piloted by well-oiled weekend day-sailors with impaired vision for kayakers ahead. Watts Island off Tangier Island, Virginia might be too isolated for kayaking excursions. Watch for mid to late afternoon winds which churn up the water and make paddling a strenous activity. Keep your eye on shoreline landmarks such as towers or buildings to measure your progress. If you’re not moving forward, make a new heading, possibly angling to shore. You can’t beat wind force + currents with mere muscle. Kayak memories are soft. The sun at day’s end, the moon on black water, reeds rustling, nutria and muskrats scurrying away. Fish slapping the water surface with a force that can only be interpreted as glee when they realize that long shark-like creature isn’t a predator. 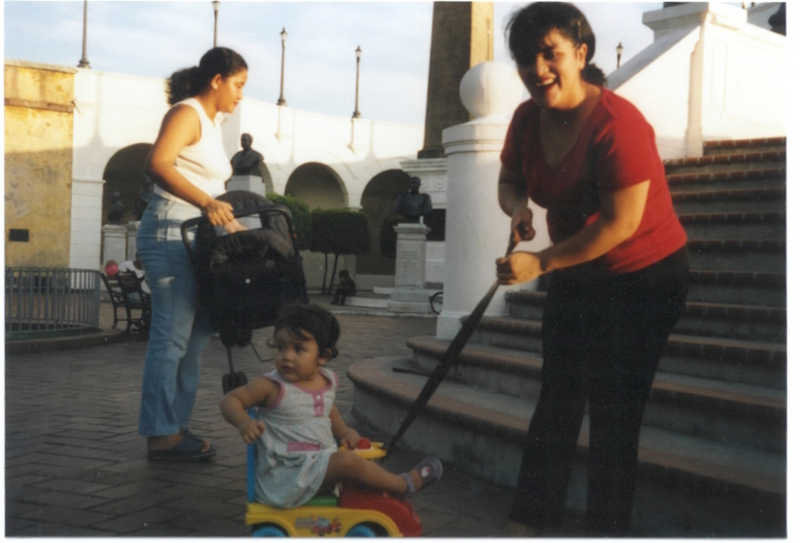 Women and their children in Panama City old town. Viewing the Panama Canal from a cruise ship might not be the best vista. Canal bound cruise ships are so large and the decks so far above the water line that you can’t see what is going on below in the lock passages. 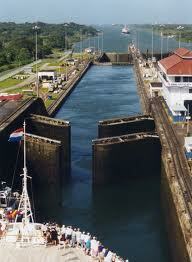 Boat tours of the Canal locks are offered by various providers. I went with Argo Tours on a partial transit, the only option on the day I contacted them. I couldn’t find a web link to Argo recently, so maybe their name or management has changed, but whoever offers the canal lock passage tours, the experience is worthwhile. The food was much better than I expected for a tour boat, and copious. The guide explained the history, natural lore, and mechanical process of the lock transfers in English and Spanish. I had hoped to walk the isthmus during this two-week trip to Panama, but had difficulty lining up maps sufficiently detailed for a solo walker. Next time I travel in Panama, I plan to ride the Panama Canal Railroad which has been refurbished for the tourist trade, but will offer another perspective of travel across the isthmus. Prior to exploring the Canal area, I spent several days at Bocas del Toro on the Carribbean side and enjoyed a 1 day island boat-snorkel tour offered by several tour operators in Bocas. Make sure you hire a boat with a canopy as the sun can be fierce. Another day, I flew from Panama City to Isla Coronado in the Pacific for an overnight in a spiffy cliffside beach hotel. Various high-level international refugees have stayed there — the Shah of Iran, possibly Manuel Noriega and other shady characters. On one of the weekends, friends of Experience Panama tourism guru Ana Rojo invited me to join them for the cross country drive west-north-west to Boquet in the highlands, for cooler temperatures, ranch-style living and coffee plantations. Isla Verde guest house is nice there — run by a friendly German family. The hike up the mountain is worth the effort. In Panama City, use good sense and hire a car and driver to view the tourist highlights, because public transport can be problematic unless you have lots of time to sit around and wait. Cabbies can be helpful, or not. I rode city buses a couple of times and boarded efficient inter-city buses to reach Bocas del Toro from Boquete. The Smithsonian operates a world-class tropical research institute at Barro Colorado, an island in Gatun Lake. The day was interesting, but we were kept close to the administrative buildings. 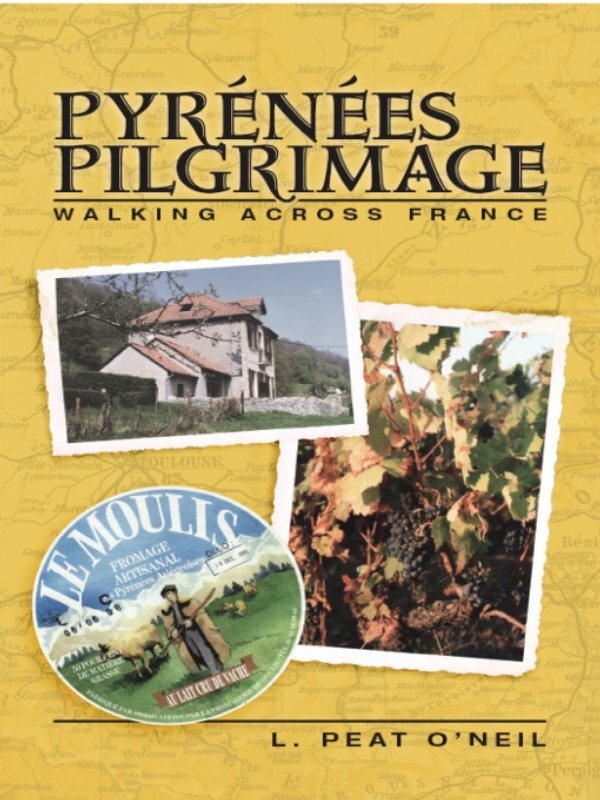 Experienced hiker-naturalists might find the nature walk a disappointment. If you can, book into the Country Inn and Suites Hotel (an American style business hotel with the usual discounts for AAA, government/military and seniors) because of the direct view of the Canal and all the ships. For me, that made the trip, to be able to look up from the balcony and see a tanker nosing through the canal, or the sun setting over the tropical forest on the opposite side of the canal. A 6 km causeway made from dirt excavated from the canal runs alongside the canal, open to pedestrians and cyclists. At the end of the causeway, there’s a handful of charming islands, one of which is a small Smithsonian marine research/education facility, converted from a WWII-era lookout station. The recreational port area attracts sightseers and the marina area is bracketed by seafood restaurants. For me, it was restful to walk along the causeway, maybe visit the marine research island, have a snack at one of the restaurants and walk back to the CountryInn Suites hotel then finish up the evening looking at the canal during twilight. 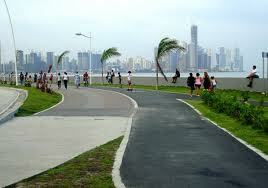 All along the causeway, sea breezes rustle the palm trees and folks of all generations run, rollerblade, walk and cycle. The birdwatching at Canopy Tower and nearby trails is incomparable. Panama offers many national parks, though transportation to the parks could present a logistical hurdle. Travel Tips. Bring along a roll of $1 and $5 US banknotes. For some reason it was hard to get singles and that’s what you need in this tip driven economy. US currency is used throughout and some prices were quite modest, except for classy hotels in the city and resort areas. If you do find yourself taking taxis, be aware that the first rate quoted by the driver is the tourist price and the normal price is perhaps 1/4. ( e.g. for a $1.25 cab ride, 8 minutes travel time, the driver will quote me, Miss Gringo Tourist, $7.00, then come down to $5.00 and even when I offer $3.00, will still try and get me to agree to a “tour”. Met marvelous painter Charlotte Thodey at the pyramid that houses tropical plants in Sydney’s botanical gardens. Weird chattering flying foxes shelter in the botanic garden trees, considered a nuisance by some. Heliconias, orchids of miniscule to generous size, rubber trees, ferns, jasmine displayed in several glassed spaces. The gardens extend to the harbour area, a vast miracle of downtown oasis in a city where r eal estateis premium. Maps of Antarctica and the history of exploration of Australia’s “Down Under” — the southern polar continent was on view at the State Library of New South Wales across from the gardens, so that’s where I spent the rest of the afternoon. Through countryside that resembles eastern Oregon or northern California without the mountains, I rode the CountryLink train South, South West from Sydney to Melbourne, an all-day ride. Only sour moment was receiving a packet of imitation espresso powder and a cup of hot water when I expected brewed coffee at least. After 10 days in Sydney, which felt like the world testosterone capitol, I’m chipper to be in laid back Melbourne where the air is sweet and art spaces outnumber rugby pitches. Sydney ferries offered entertainment and respite. The Parramatta river tides caused that long route to turn around at Rydalmere where passengers headed to the end of the line completed their trip by bus. Even through the days of rain and grey skies, I boarded a Rivercat or ferry every day, as passage is included in the weekly transport pass. The return from Manly to Sydney at night provided a neon lit, nearly full moon arrival at Circular Quay, the primary ferry dock. Melbourne is a major port city too, and I’ll be boarding the Spirit of Tasmania on 12 February for passage to the island that captured my imagination when I was age 6 or 7 and just starting to collect stamps. In Melbourne, I spent most of my first morning at the Old Treasury Building, an elegant Italianate building where all the gold was once vaulted. Exhibits featured local history, the founding of Melbourne, jailhouse photographs of late 19th c. Chinese miscreants and audio renditions of commentaries by the rough and tumble gold miners. Today I’m at the State Library and will soon look at some old maps of Tasmania. Art museums and archives have surprising collections. I’m currently in the State Library’s chess room (with tables set up for play) using the free wi-fi which my hotel offers for hire. See: Vintage 1975 images of Queen’s Hall and Chess Room. Friday, I’m headed down the Mornington Peninsula where new friends have offered to drive me around to see a bit of the south coast. They are an Aussie couple about my age who emigrated from So. Africa and run a real estate promotion business here. We met last night on the Southbank River promenade as we watched the passing scene and sipped wine. They had gallantly protected my Greek salad from scavenger birds while I returned to the food court to fetch a glass of a bright, dry Semillon Chardonnay blend. What was that sound? Is that a wild animal up ahead? Or just an oddly shaped fallen tree branch. Steady, now. You’re safer here in the mountains than in most places in the world, as long as you keep your head cool and mind where you step. Death by Hiking is pretty rare. Usually, fatalities are associated with falls or exposure. Typically, an unfortunate outcome is related to lack of adequate equipment or clothing, lightening strike, dehydration, hypothermia or lack of experience. I’m reading my former colleague Chip Brown’s fascinating book Good Morning Midnight – Life and Death in the Wild about intentional death in the White Mts. Jon Krakauer’s book Into the Wild is another gripping account of what can go wrong in the mountains. Safety tips for hiking alone.